Can’t Sleep? Boy, I am sure you just hate it. You can’t shut the brain off, even when you feel so tired. 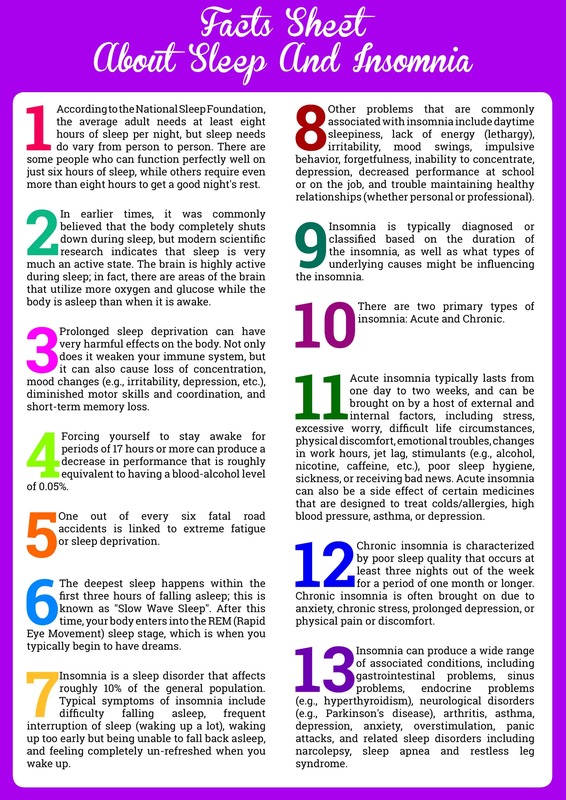 Getting to sleep is not an easy task for many individuals. Distractions, like living on the main road, or the noise of nocturnal pets is all that is needed for a person that finds falling asleep challenging to make the act of sleeping almost impossible. Essential Oils are known since generations for their ability to induce sleep. One thing you have to remember about Essential Oils is the fact that a little goes a long way. Even few drops can richly fragrance a big living room area. Use no more than 4 drops in one time, as too strong an aroma can do the complete opposite of what you are trying to achieve. 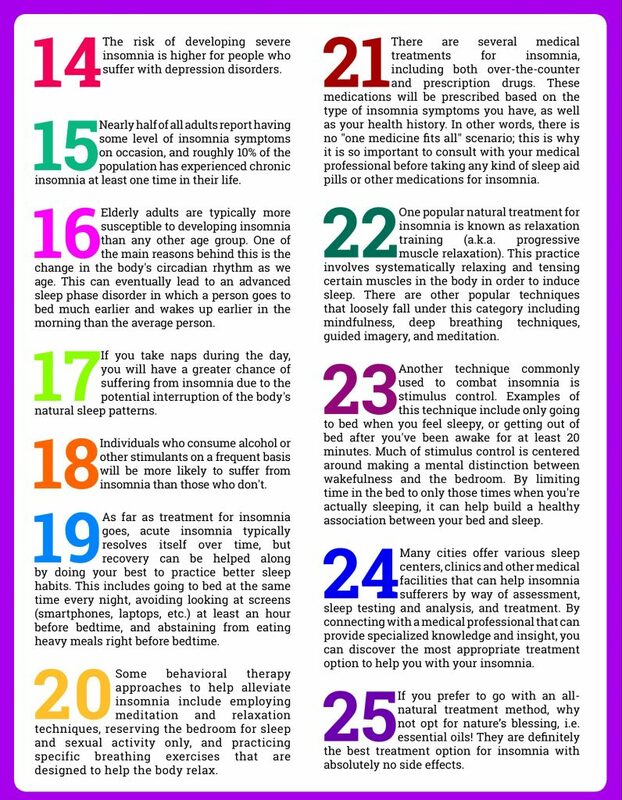 The two images show 25 facts about sleep and insomnia. Lavender is an excellent Essential Oil to assist you to go to sleep and remain asleep. This Oil is predominately composed of esters and alcohols and has several therapeutic properties. True Lavender is the best quality of Lavender available in the market. Remember, that there are more species, like spike Lavender and the hybrid Lavandin that have very similar properties, however they are not as sedating as true Lavender. 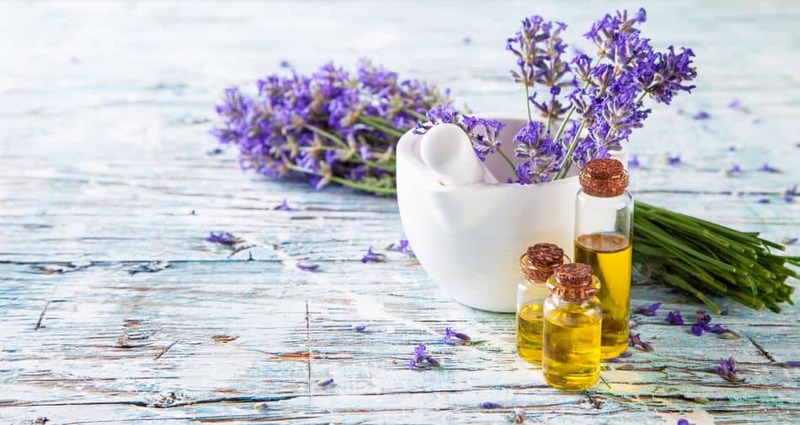 How To Use Lavender Essential Oil For Better Sleep? Lavender is frequently used as a sleep aid. Generally, when used for its calming effects, the aroma of Lavender should be inhaled. The best way of doing this would be to dilute 3-4 drops of the Essential Oil into 2-3 cups of boiling water and inhale the vapors coming out. Inhaling these vapors can help you relax and sleep peacefully. While you can always inhale Lavender to benefit from its calming effects, it is also possible to consume it internally in the form of tea. Take 1-2 teaspoons of the Lavender leaves and put them in boiling water for about 15 mins. Ingest this mix as tea. Finally, it is also possible to use Lavender as a tincture, which is an alcohol-based derivative of the plant material. When consuming Lavender in this form, use 40 to 60 drops daily. Chamomile is another popular choice when it comes to helping people sleep. There are several different kinds of Chamomile available in the market, but Roman Chamomile is considered the most effective. Roman Chamomile is an ancient herb that has sedative and relaxing properties. This Essential Oil is recommended to those that need to manage their stress so that they can relax and sleep. Mix Roman Chamomile and Lavender for a stronger blend. Again, you should choose the best form of Marjoram Essential Oil for sleep disorders since there are several plants / Oils available in the market sold in the name of Marjoram. Sweet Marjoram Essential Oil is the only Oil suitable for helping with sleep disorders because it comes with a calming and sedating action that reduces hypertension and eases the nervous system. Just like Lavender, Marjoram can be combined with the previously mentioned Oils to generate a very effective blend. Lavender, Chamomile and Marjoram Essential Oils can be added in different amounts to suit your fragrance preferences. No matter how you blend them, you will certainly have a better sleep. Valerian root has been utilized for hundreds of years for its sedative and calming effects. The valerenic acid present in this root, which is a GABA receptor modulator, suppresses the enzyme-caused breakdown of GABA in the brain and thus causing sedation. While natural Essential Oils derived from Valerian root are not at all addictive, some drugs containing valerenic acid can be. Valerian is highly effective whether used topically or internally. When you use it as a supplement, dilute 1 drop in 4 oz of liquid for at least half an hour before going to bed. Researchers have identified that Frankincense smoke alleviates anxiety and depression. Incensole acetate, which is a compound present in Frankincense, is mainly responsible for the results. This compound can fix behavioral disorders, making it all the more useful in terms of helping you to sleep. By affecting the GABA receptors, Clary sage seems to function in a similar manner to Valerian. In a study, Clary Sage, Chamomile, Lavender and Rosemary, were assessed for their anti-stressor effects. Amongst all the Essential Oils examined, Clary Sage came out to be the strongest anti-stressor. In addition, Clary Sage can also be used as a therapeutic agent for patients with depressive disorders. 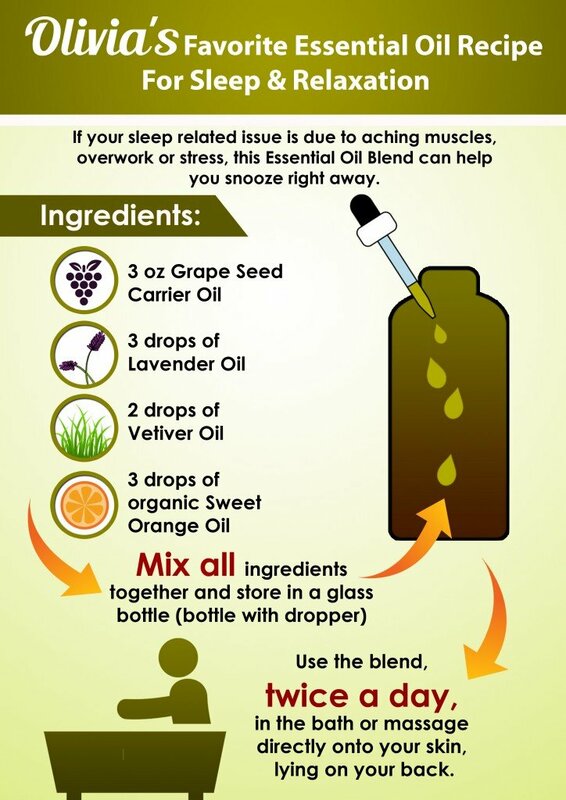 How to Use Essential Oils to Help You Sleep? 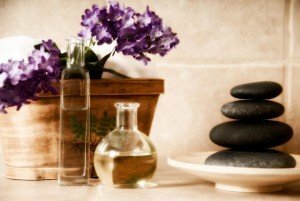 Add suitable Essential Oils to the warm bath prior to going to sleep. Make sure that the water isn’t too hot and add just 5 to 6 drops of your chosen Essential Oils to the water. You can also add Essential Oils to the bath blend or bath Oil you are already using. Before heading to sleep, you can add Essential Oils to either a candle diffuser or an electric diffuser. Make certain that you do not leave the diffuser burning all night. 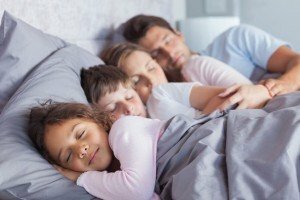 This is also an excellent technique for helping a kid fall asleep naturally, as the aroma of the Essential Oil used will become associated with the bedtime, offering the child with a familiar comfort. Before going to bed, put in a suitable Essential Oil into the massage Oil and ask your partner to give you a small massage. The action of massage helps the body to unwind and “switch off” the brain. Put in a suitable Essential Oil blend to some spritzer and spray a little volume of it on your pillow just before heading to sleep. Using water-based spritzer is not going to stain your bed linen. This is also a wonderful way to incorporate Essential Oils into your bedtime routine and get yourself ready for sleep! Mix the Oils thoroughly within a dark-colored bottle. Add 2-3 drops of this blend to places like your pillow to help you in sleeping. 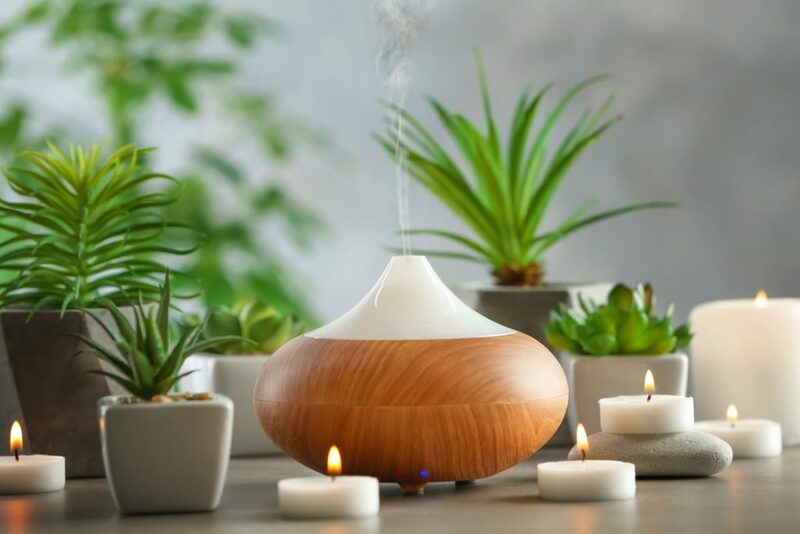 If you prefer using a diffuser, create a blend adding Roman Chamomile, Bergamot and Clary Sage in the ratio 2:1:1 and put this blend in the diffuser. Use the diffuser at least 30 mins before getting to bed. Adding Lavender to the blend mentioned above may also help you relax and sleep better. However, do not add more than 1-2 drops of Lavender as that may deliver an opposite effect. Mix the essential oil and the carrier oil with each other, add to your diffuser together with water and diffuse the blend in the room. This recipe is known for offering a relaxing sleep. Add Essential Oils to warm bath and mix all the ingredients well. Now, slowly sink into the tub until the maximum part of your body is submerged. Soak for a minimum of 10 mins, with your eyes closed, just inhaling the scent. Bestowed with nature’s most soothing and relaxing skin Oils, this mix can help you get peaceful sleep at night. Mix all the components and have yourself massaged with this therapeutic blend. In case you are having issues with sleeping due to aching muscles, overwork or stress, this Essential Oil blend can help you snooze right away. Mix all ingredients together and use the blend in the bath or massage directly lying on your back. Mix both the ingredients together, pour in to a warm bath and soak. Mix 3 drops Lavender and 1 drop Clary Sage and add 2 teaspoons of milk. Add the mix to a warm bath & soak. In addition to being a fantastic moisturizer for cracked skin, this blend is an effective treatment for those experiencing nightmares, constipation and insomnia. The vanilla-like scent of Benzoin, along with the fruity orange aroma, gets you a familiar and comfy fragrance. These Oils may also be used in a bubble bath. Mix the Oils thoroughly in a dark glass bottle. Add 2-3 drops on a cotton ball and set it under your pillow to help you to sleep. The components of this blend can help you sleep to a significant extent. Both Yarrow and Marjoram are excellent for muscular pains and other kind of aches, especially those that you experience after long exercise sessions. Geranium is uplifting and promises pleasant dreams. This blend is also a perfect remedy for dry skin. This calming Essential Oil emanates from a rose that has a soft and honey-like fragrance. It is actually thought to be the biblical rose of Sharon. Cistus has extreme calming effects that can fix even the worse kind of sleep disorder. Spikenard is an Essential Oil that is mostly applied as a perfume. 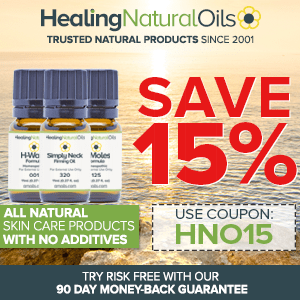 This Oil is also known to have calming and sedative effects. The truth is that any Essential Oil that includes sedative or relaxing qualities can help you sleep better. Once you know the root cause of your problem, you can use the Oil that directly targets your specific problem by influencing your emotional system. For example, if you suffer from depression, you could add Oils that directly address the problem of depression. Putting a drop or two on the body of the child helps him to sleep comfortably throughout the night. Cedar wood can help your child sleep much more soundly. It will eliminate all the nightmares and help your child sleep comfortably throughout the night. Orange lifts the spirits and promotes joy, making it a great scent for children. Adding Roman Chamomile, Lavender or Clary Sage to your bath Oil can help ease the problem of insomnia. You can also add these Oils to a cotton ball, which is to be put by your bed side. 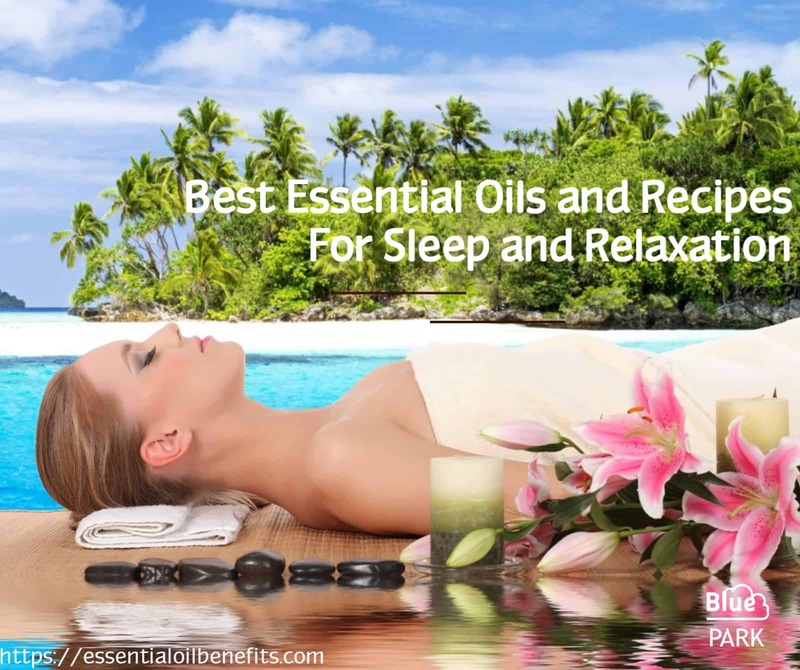 If you want to find out more information, please read our article Best Essential Oils For Insomnia And Related Conditions. Essential Oils like Marjoram and Eucalyptus can help you breathe easily throughout the night. Valor Essential Oil can be inhaled, used topically or consumed for significant relief in sleep apnea. 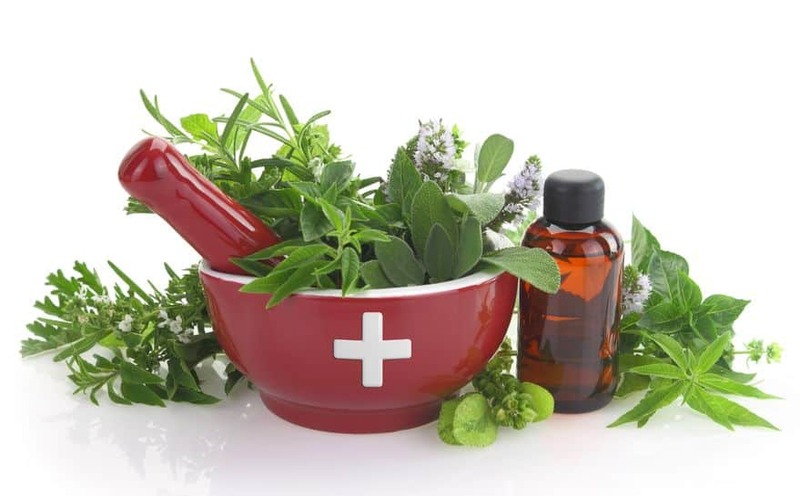 Unlike medicines that have significant side effects, Essential Oils deal with the situation naturally. 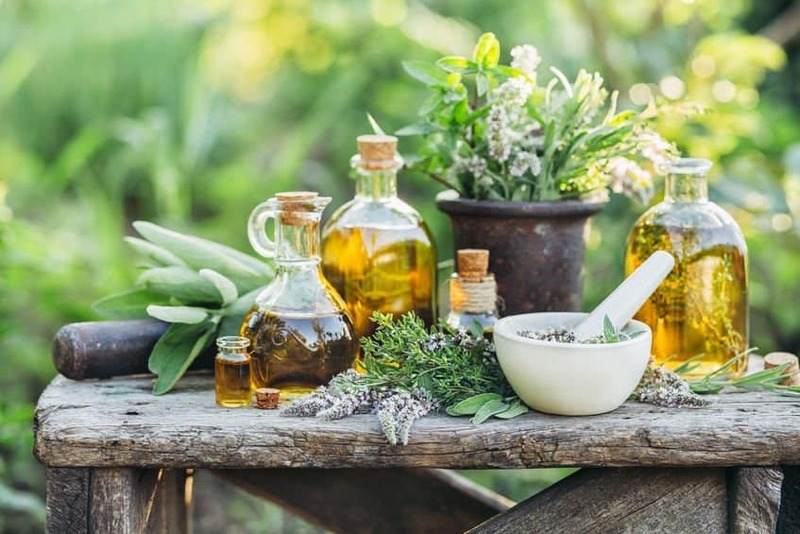 Essential Oils come out to be a cheaper and healthier alternative to medicines and other artificial therapies. Some Essential Oils are known to trigger allergies. Therefore, exercise caution when using an Oil you don’t know about. Essential Oils are a godsend for those that struggle to sleep. The relaxing and sedative properties of the Oils mentioned above will surely offer you with unimaginable comfort and peace of mind. However, make sure that you root out any underlying cause that is causing you stress and anxiety. Using Lavender Essential Oil is strongly recommended. Frankincense, Clary Sage, Marjoram, Ylang Ylang and Rosemary are some other Oils you can use according to your personal preferences of aroma. Making Essential Oils part of your bedtime routine will allow you to relax and be better equipped for the challenges of the next day. Lavender is hands down the MOTHER of all relaxing EOs there is! I have used it for over 10 years to help manage anxiety and it works great for pets too. Using it when bathing your cat or dog will result in the best and most natural flea repellent there is. Nature is a beautiful thing to have on your side. My mother actually uses the orange EO because she hates the scent of lavender but she says it helps a lot for her stress. My baby is just few months old but I need something to help her get sleep. I will be trying Lavender, hope it has no issue or allergy in babies’ skin? I have always known and used Lavender oil for its numerous benefits and in helping me sleep, it works just perfect. I just found your site and find it so easy to follow. I’ve been getting overwhelmed with info re essential oils and recipes. In general I’m sensitive/allergic to fragrances and chemicals so I only use essential oils. Here’s my dilemma…I am sensitive/allergic to lavender. I get really bad headaches and sometimes nausea. I’ve been told that people with low blood pressure should avoid it which could explain my sensitivity. I’m always looking for calming recipes and help with sleep. Enter lavender! Everywhere I turn! Can you suggest a good general substitute for lavender for any or all of these recipes? And/or some great recipes without lavender for calm, sleep, pain relief etc? Sure. Indeed, there are people who can’t stand Lavender for some reason. Have you tried organic Bulgarian Lavender? It is perhaps the best one I have ever used. I would substitute Lavender for Roman Chamomile or Ylang Ylang (or Sandalwood, but it is an expensive one) for sleep related issues. You could follow the recipes here and simply replace the Lavender as per the above suggestion. In my 5 blends kit below, the lavender is included in 3 of the blends, however it is extremely subtle and you probably won’t even know it is there. These blends promote sleep as well. For pain relief, I have my own brand of L’orpur pain relief blend which is extremely effective as per link below. If you would like to make up your own recipes, please let me know where exactly you are experiencing pain and I will send you the relevant recipe(s). You can use tap water, however it is preferable to use distilled water in a spritzer. You could use 1-2 tsp of alcohol or vodka (yes true) or I like to use witch hazel in mine as it helps disperse the essential oils and prolong the fragrance more effectively. I have read that you can not put oils directly on the skin without a carrier oil. I am looking at things to help sleep. For my husband, putting on the bottom of his feet would be best for him. So if I buy Lavender, to I need to put it with a carrier oil? I am just confused as to how to dilute it if need be. You can take 2-3 drops of an essential oil of your choice and dilute in 1 tbsp. of carrier oil such as coconut oil or sweet almond oil. Make sure you do a skin test patch before applcaitino. Lavender oil is gentle enough to apply directly to your skin. Indeed, Lavender is a very gentle essential oil. Prior to any neat (i.e. undiluted) application, it is advisable to do a skin test patch. I do have a question as well… In recipe #2 you say to mix lavender with jojoba oil and diffuse. Can you use carrier oils in diffusers? I though only water. Thanks for any insight you can give on this! In general, carrier oils are not necessary with most range of diffusers. Please check the instructions that come with your diffuser. If required, keep the lavender/jojoba mix, alternatively use only lavender. You will need to add water to your diffuser. I use lavender oil all the time for anxiety and panic attacks, I also use it for sleep as well! I love that you included recipes here. I haven’t really ever tried making any recipes with the oils I have but I will have to try a few of these. The natural base is a bonus because I like to avoid parabens whenever possible. Thank you for sharing. Good luck. My wife and I have been using Lavender oil a lot lately to help us sleep, it helps for sure, and it makes the house great. Your essential oil recipe looks great, I think we’ll have to give it a try at some point. We’ve thought of having live lavender flowers in our home, I wonder if that would help too? Thank you. Lavender flowers will definitely add a refreshing feel to your home. This is all very helpful, as I have a problem sleeping due to back and severe sciatica issues and sleep apnea. Use a c pap machine, which I hate. Let me know if you need help with essential oils. I use a CPAP too, and I put a tiny ceramic saucer, lay a cotton ball or disposable cotton makeuo pad on it, and put a few drops of oil on the cotton. I lay the saucer near the air intake vent of the CPAP. Now I DONT KNOW if it will DAMAGE the CPAP in the long run, but I have been doing this for the past few months and love it. I clean with water, vinegar, lemon, peppermint, and tea tree. Lemon helps get rid of the nasty dirt, peppermint kills bacteria and smells fresh, and tea tree kills mold. I also sometimes add cinnamon to help kill some types of viruses. Sleep in the right way is very important to the health. It’s wonderful to know that essential oils can make it easier. My favorite way to absorb oil is using diffuser and my favorite essential oil is lavender. I’m very happy to know that it’s frequently used as a sleep aid :). Many thanks! My wife and I have been trouble sleeping since we moved and I know her sister has recommended using essential oils. We just haven’t bothered yet. After doing some research and coming across your blog, I am sold! I will give these a try this week. I believe there is a shop 10 minutes from where I work that sells essential oils. Bookmarking this page! Lavender oil in your bath always soothes and aids in a good night sleep. Lavender and chamomile are some of the best essential oils for sleep and relaxation. I spray lavender oil in my bedroom and use the chamomile during the day. This keeps me relaxed and less prone to having sleepless nights. Will have to try the valerian oil, I never used it before.